Yes you can make money online while in active duty. How I know? I know because I am doing it. Making money online is easy for most military members the challenge is getting started because we get used to the 1st and the 15th paycheck. The harsh reality usually comes during the transition from active duty to civilian. Facing unemployment, no steady income and all the consequences of not having a steady paycheck. Sadly, some veterans even become homeless. All these problems are not because of a lack of skills. But you know as I do that this is the sad truth of the world we live today. But these are only a few of the problems our military veterans face after separating from active duty. That’s why is important to make your move before separating from the military. How I’m getting ready before separating from the military? The quickest way you can make money online is to turn what you have learned into a service and once you know what skill or teachings to share, getting people to pay for what you know is easy. You already have the skills necessary to be a successful entrepreneur and business owner. The next step is to learn how to make a steady income before separating from the military. 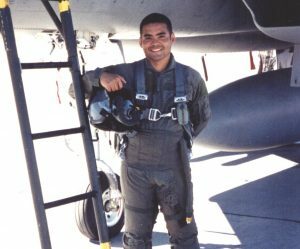 From the very beginning of my Air Force career, I was put in leadership positions and in charged of millions of dollars of equipment. One reason the military puts you in leadership positions from the very beginning is because you are expected to have integrity, the willingness to do what is right even when no one is looking. Not only that but you are also a professional whose duties always take precedence over personal desires, and you strive for continual improvement in self and service and that is good for business. In the military, you develop an attitude of truly putting others before yourself while simultaneously becoming flexible problem solvers out of necessity, says Mark Rockefeller. Putting others before yourself and being a flexible problem-solver are skills that every entrepreneur and business owner should have. Tell your friends and family member. Tell your Facebook and Twitter friends. You can also search who is talking about what you have to offer and also who is sharing similar articles on social media and after you find them, start a conversation. Step 3: Charge $1,000 for your service. To get paid online you can use Paypal, Stripe, or you can get a Free Merchant Account here. How great is this? Right? This means more time to do the things we really want to do without worrying about the next paycheck. I’ve put together a step by step guide to help you turn your How To into service businesses, and you can download that for free today.